On Friday 17th, in Rutland County Museum gallery, Arts for Rutland held the Private View of the 2017 Rutland Open Arts Exhibition, which is a show of selected works by Artists from Rutland and the surrounding Counties. At the evening there were performances from Chater Choir, Emma Farmer and Rutland Saxophone Ensemble. All these had recieved grants from Arts for Rutland or support for their projects. The winners were presented with their prizes by Craig Mitchell, High Sheriff of Rutland. The evening was well attended and enjoyed by the artists, performers and invited guests. The exhibition runs at Rutland County Museum until January 5th 2018. All the exhibits are for sale, but they can not be removed until after the exhibiton closes. Richard Allen being congratulated by the High Sheriff. 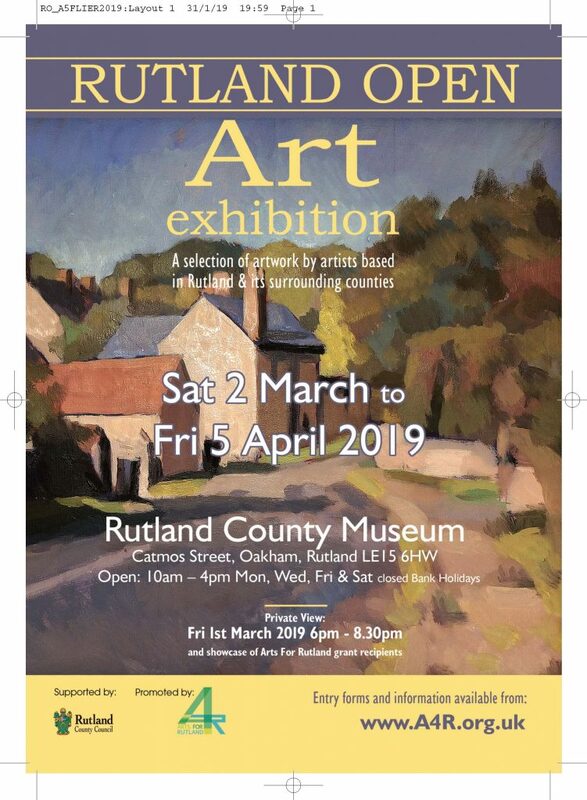 The Rutland Open Exhibition 2016 was organised by a sub-group of Arts for Rutland, and took place between Saturday 12 March and Friday 22 April at Rutland County Museum, Catmose Street, Oakham, LE15 6HW. At the Open Evening on Friday 11 March, as well as previewing an excellent selection of art, we were also privileged to hear performances from some of the holders of awards from our project fund. In addition to the established Open Exhibition, we have a Youth Exhibition which had its second run during February 2016.